Center for Spiritual Living, Reno invites you to visit our Spiritual Community to explore new possibilities for your life. We are a loving community, providing spiritual tools for personal transformation, creating a world that works for everyone! We honor all paths to God. 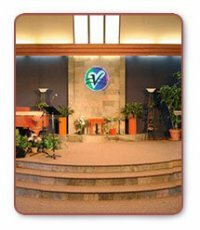 Center for Spiritual Living, Reno is an affiliated member of Centers for Spiritual Living in Golden Colorado. Our Center was chartered in 1963 as First Church of Religious Science. Over these past 50+ years, our name has changed but our teaching and principles have stayed the same. We offer a practical spiritual philosophy teaching that draws on the wisdom of the ages and New Thought principles, in order to promote awakening and personal growth. With a variety of services available, Center for Spiritual Living, Reno meets the needs of families, singles, children, adults, and seniors. Whatever your lifestyle or spiritual path, you will feel welcomed. Our spiritual community is ready to embrace, love, and accept you as you are. Everyone is included on the path to God! If you are looking for a warm, dynamic, loving community of like-minded people, we invite you to visit Center for Spiritual Living, Reno and claim the life your soul is seeking.